1. Free range chickens get to live the proper chicken life.These birds are out in pasture that is fenced in to keep them safe, with a coop they can choose to wander in to lay, and all the grass, bugs, and whatever all they can scrounge up and scratch up to eat. Not to mention, free range eggs taste better. 3. Your chickens will be healthier. It’s always a good idea to provide a quality lay mash for your birds, but birds that eat only mash will not be as healthy as those that can get out an forage for their own food. The protein from a bug is better than the protein from mash, and your chicken got the fun of hunting the bug down and eating it! 4. It gives you an excuse to have your own backyard flock. Why contribute to the commercial poultry industry when you can grow your own eggs in your backyard? 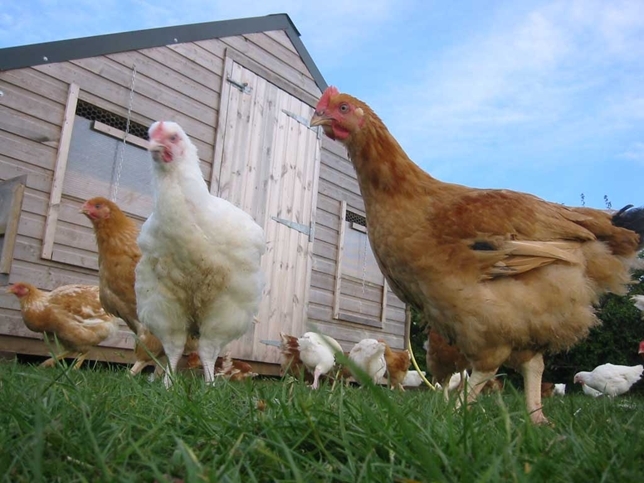 Some cities are even now loosening their restrictions on certain types of “livestock” which means you can have a hen or two in your backyard almost anywhere you’re living. These hens, even if they’re eating mostly mash, will be healthier and happier than those in a commercial facility. They’ll get to wander around your backyard, enjoy the sunshine, indulge in a dust bath. And in return, they’ll give you wonderful eggs that will still be better than store bought eggs simply because the birds are happier and healthier. 5. Hens will lay eggs for as long as they are able and allowing them to live in a free-range, backyard environment is the best way to ensure that they are allowed to live in as natural a condition as possible while still providing them with protection from predators and the elements. By raising your own chickens and giving them a free-range lifestyle, you are encouraging healthy poultry activity, expanding your own horizons and giving your chickens a chance to live long, happy and healthy lives with the reward of fresh, top quality eggs.